Chris Kostoff hates it when people ask him about rates. He knows that people are going to be more inclined to work with him if they like him and can find common ground. Common ground usually doesn’t come from a rate discussion. 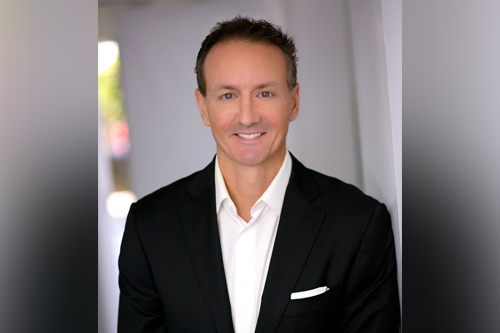 Kostoff is a mortgage broker and the owner of Mortgage Direct Corporation in Orange County, California. He got into the business 23 years ago and realized very quickly that he was doing all of the work but others were making all of the money. So, he started his own business where he could control his own destiny. Along with his “phenomenal” team of two processors, an assistant, and notary, Kostoff closed around $63 million in 2018. That was about a $25 million dip in business from 2017, but the first part of this year has been “out of this world” for his business, and they’ve been working at a pace that he hopes will continue for the rest of the year. For anyone looking to do more purchase business, their first stop would often be a real estate partner. Not so for Kostoff, whose business comes mostly from past clients followed by referrals from financial planners, CPAs, attorneys, and bankers. In fact, he’s not the biggest fan of real estate agents. He feels that the referrals from other sources are more of a hot lead, and he finds it harder to control leads that come from real estate agents. He also says that agents sometimes get too involved in transactions. This year, Kostoff said he needs to do more networking, as well as one-on-one meetings with referral partners. The marketing and self-promotion aspect of the business isn’t his strongest suit, but he also doesn’t want to be like everyone else, spreading “the same old crap on Facebook and Instagram” about how great he is and how many loans he does. He wants to market himself in a unique way that will attract like-minded people. Even when Kostoff loses a deal, he’s relentless in his follow-up. He’s not pushy, he said, but if he knows he can save someone money or has a good deal in place, he’s persistent in reaching out to a client. His team does a lot of no cost refis, and he doesn’t want anyone to reach out to them; he prefers to stay on top of it himself. Without that dogged pursuit, he said, originators won’t survive. Originators give up too easily, he said, and they don’t know how to talk to people. Whether he’s texting a client or paying a casual visit to someone’s house after closing, he keeps it all about them, and is consistently asking questions. The answers always lead to something else, whether that’s more potential leads or common ground. But all the people skills in the world can’t disguise ineptitude. Kostoff’s own batting average is still pretty high, but the 70-hour weeks aren’t going to continue forever. He hopes to keep it up for another few years until his youngest kid graduates high school, and then figure out how to scale back. He’s learned how to delegate, but he’s still constantly focused on work, and between decades of overstepping realtors and the constant communication from clients who are confused about disclosures, it’s starting to wear on him. Until then he’s going to forge ahead doing what he does best. Stop chasing real estate agents!